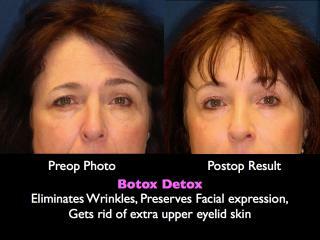 The Brow Lift gives a youthful appearance. It can be performed in just two hours under IV anesthesia. With the endoscopic Brow Lift procedure, there is no long scar, and no hair loss. This patient in her 50's enjoyed the benefits of her Brow Lift (Forehead Lift) as it elevated the brow to a more youthful position. A Brow Lift helped rejuvenate the upper eyelids of this woman in her 40's. A Brow Lift was performed on this 55 year old woman and gave her face a refreshed youthful appearance.